LOOP Head Lighthouse will open on Saturday, March 16 as the historic West Clare landmark opens to the public for the first time this year. 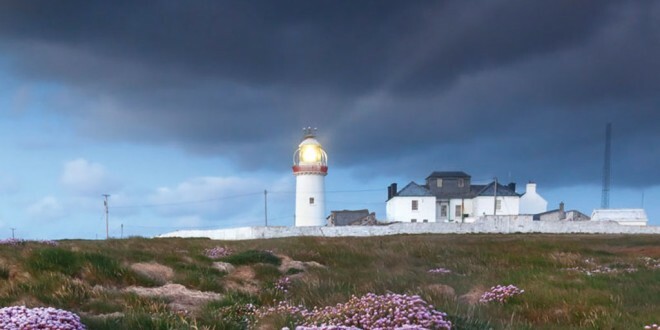 The Kilbaha based lighthouse is located at the mouth of the Shannon Estuary on the Loop Head Peninsula, which is one of two “Signature Discovery Points” in Clare along the route of the Wild Atlantic Way. It also is a landmark location on the Loop Head Heritage Trail and is one of 12 Great Lighthouses of Ireland. Loop Head Lighthouse is steeped in history and is rich in maritime heritage with its origins dating back to the 1670s. The existing tower style lighthouse was constructed in 1854 and was operated and maintained by a keeper who lived within the lighthouse compound. In January 1991, the lighthouse was converted to automatic operation, and today is monitored by the Commissioners of Irish Lights. The lighthouse, which attracted almost 25,000 visitors in 2018, will remain open daily (10 am to 6 pm) until November 3. Visit www.loophead.ie or www.clare.ie for more information on the lighthouse and the Loop Head Peninsula.